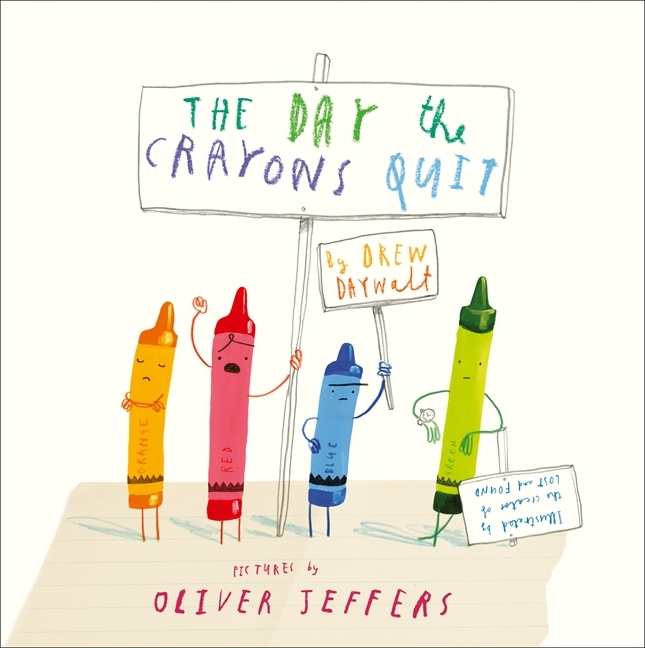 The story is about a boxful of complaining crayons who are unhappy about how they are being used. The main characters are Duncan, a young boy and his box of crayons. Duncan just wants to draw but his crayons have gone on strike. Pink crayon thinks she is being under used. Blue is becoming short and stubby from overuse. Grey wants to colour small things instead of big things, and orange and yellow are arguing because they both think they should be the colour of the sun. The most exciting part of the story is when everything becomes colourful. This was the most surprising part, too, when Duncan draws his picture. It’s surprising because things are not the colour they usually are. Duncan tried really hard to keep his crayons happy. At the end, Duncan gets a gold star for creativity from his teacher. The illustrations were very colourful but there were still a lot of spaces in them and some colouring outside the lines. My favourite part of this book was when peach crayon wouldn’t come out of his box because he was naked! I give this book a 5 out of 5 (equals highest mark from me). I loved it because it is very funny. Thank you for your wonderful review, Miss Cheetah. I love books that encourage people to be creative and use their imagination. I definitely think I need to get a copy of The Day the Crayons Quit. I love this book, Miss Cheetah! Great choice and great review! There's one thing you did say, though--which colour crayon would YOU be? I think I would be yellow (but I would try not to argue with orange). PS Miss Cheetah thankfully has her very own copy of The Day the Crayons Quit now. Which helps when it needs to be read EVERY day.